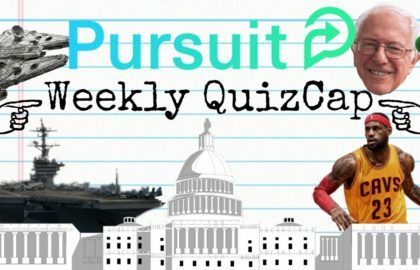 Welcome back to Pursuit’s Weekly QuizCap! This week we cover shots across the bow, bookoos of red ink, and pampered kitties. Let’s get started! 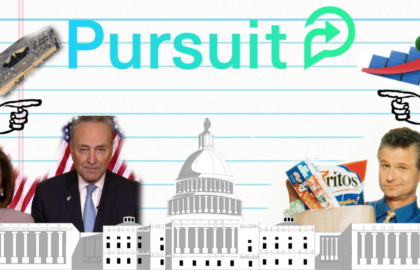 The biggest news this week was the conclusion of the 35-day partial government shutdown that resulted in a 3-week funding patch and zero money for President Trump’s border wall. How much did the partial shutdown cost the economy? According to the Congressional Budget Office, the month-long shutdown resulted in $18 billion in delayed spending and a $3 billion hit to the GDP that will never be recuperated. Washington now has until February 15th to avoid another one. The amendment is non-binding, but sends a clear message from Congress. The Trump administration is in negotiations with the Taliban to pull out troops from Afghanistan in exchange for an agreement that they will not provide protection to terrorist groups. For their part, the House passed which bill this week? The bill would provide federal employees with a 2.6 percent pay raise, overriding President Trump’s pay freeze. The House and Senate have tentatively agreed to a 1.9 percent pay hike, though they actually have to pass full spending bills rather than temporary continuing resolutions to make it law. As the new Congress kicks into gear, it’s a good time to take a look at the last one. How many public laws did the 115th Congress (2017-18) enact? The all-Republican DC passed the most laws since 110th Congress (2007-08) when Democrats had across the board control. The most notable bill was the Tax Cuts and Jobs Act, but they also passed criminal justice reform, an opioid crisis response bill, a financial services regulatory reform package and a bill that changes music copyright law. While they passed a lot of laws, none of them dealt with our massive debt problems. This week, CBO issued an updated look at our budget outlook. What is the average projected annual deficit over the next 10 years? We haven’t had deficits this high since the Great Recession. The problem is these are happening under good economic conditions. In the last 50 years, when unemployment is at the low rate it is now, deficits averaged .7% of GDP. This year’s deficit will be SIX TIMES that amount. In 10 years, people over the age of 65 will comprise 20 percent of the US population. How much of non-interest spending will go towards elderly in 10 years? This spending is driven by larger Social Security and Medicare costs. These costs are projected to jump from $1.3 trillion this year to $2.7 trillion in 2029 – an increase of $140 billion every single year. That is the equivalent of adding two new Departments of Defense! Speaking of defense spending, a recent audit found what issues with 6.5 percent of the Navy’s buildings? These building has been demolished or replaced but no one took them off the property books! Whoops! 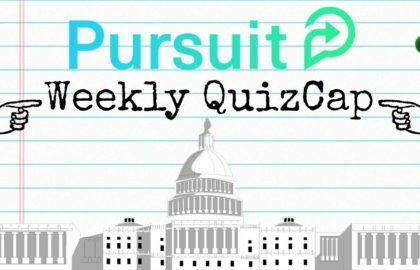 The Department of Defense possesses the same total assets as which entity? In FY2018, the DoD reported having $2.7 trillion in assets, approximately 77 percent of total government assets. True or False: Taxpayers funded an NIH studied on whether pampered cats were calmer than cats in “unpredictable situations” and the impact that classical music has on cat behavior. In this month’s edition of her “Make ‘Em Squeel” Award, Iowa Senator Joni Ernst highlighted the $1.3 million in federal tax dollars that were used to research cats. In case you are wondering, cats are less likely to poop outside the litter box after listening to classical music. Your tax dollars at work! What did Congress do this week to address our gargantuan $21 trillion national debt and $100 trillion in unfunded liabilities? They got a fresh warning from CBO about our unsustainable budget trajectory but took zero actions to address it. Congrats! You're a QuizCap expert! Share your score with friends and family! Challenge them to take the QuizCap! Almost There! Take the QuizCap Again! Shoot! You need to hit the books. Take the QuizCap Again!